The Archies was an American fictional garage band founded by Archie Andrews, Reggie Mantle, and Jughead Jones, a group of adolescent characters of the Archie universe, in the context of the animated TV series, The Archie Show. The group is also known for their real world success, through a virtual band. The fictional band's music was recorded by session musicians featuring Ron Dante on vocals and released as a series of singles and albums. Their most successful song, "Sugar, Sugar", became one of the biggest hits of the bubblegum pop genre that flourished from 1968 to 1972. 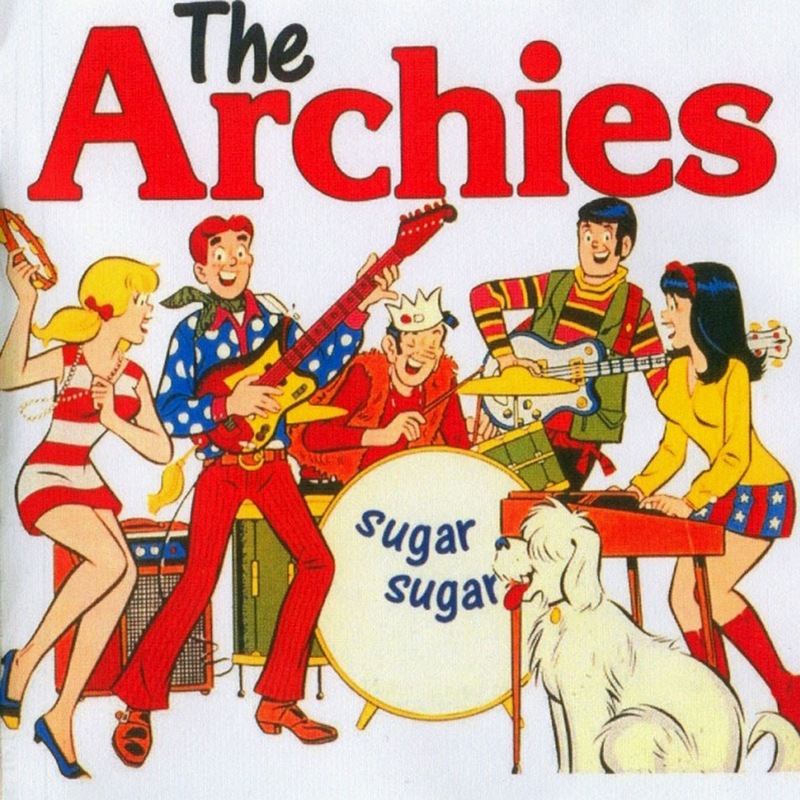 The Archies play a variety of contemporary popular music, consistent with the era in which the comic is drawn. They seem to have a preference for rock and roll, however. The Archies are sometimes jokingly compared to The Doors, as they also had no bass player; there is some confusion, however, over whether Reggie played bass or not. In most drawings, his guitar looks identical to Archie's, making him the band's second (or co-lead) guitarist -- but a number of drawings clearly show Reggie's instrument to have four tuning keys, the most common bass design. Six-string bass guitars do exist, however, and the Archies' recordings regularly featured a bass player. In more than one comic strip, Reggie is described as playing bass (although this is not necessarily canon, as storylines and hobbies/activities in the Archie world change from story to story). Finally, in the liner notes for 2008's The Archies Christmas Album, Reggie is listed as the bass guitarist. One distribution mode for the Archies' music was cereal boxes: a cardboard record was embossed directly into the back of a box such that the record could be cut out and played on a turntable (although their music was also available on standard issue LPs and 45s). Though the group no longer appears in animation, they are still frequently used in stories published by Archie Comics.